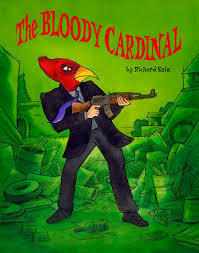 I had the pleasure of reading, "The Bloody Cardinal," by Richard Sala. It fits perfectly into my niche of quirky comics with a mixture of horror, action, bleak humor, and plenty of stellar artwork. Centering on an infamous criminal whose name is the title of the book, e.g. "The Bloody Cardinal," he supposedly died many years ago yet anyone whom he used to work with and provide with his journals seems to die--as well as anyone who gets too close to studying his infamous story. 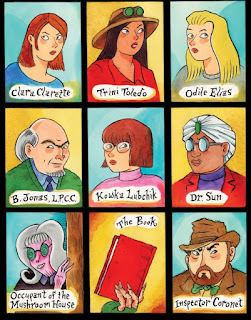 The book moves at a brisk pace and does creative things like opening with bits of the dangerous journal, showing us a report on The Bloody Cardinal, and cuts to various vignettes with the wide cast of characters--I appreciate the beginning of the book has a legend for some of the who's who as there are quite a lot of people involved! The comic does a stellar job of balancing scary elements such as spooky houses and murderous hobos with a delightfully sardonic sense of humor as the mystery of what keeps killing anyone connected to The Bloody Cardinal unfolds. Sala's artwork has a Euro-comics vibe and he expertly illustrates the more morbid and twisted story-elements like vicious rats or mutilated dolls just as well. Plus, the mystery of if The Bloody Cardinal has returned and whom it could be did in fact keep me guessing up until the ending when I said, "I should have seen that coming, but didn't," so I tip my hat to Sala for that as well. "The Bloody Cardinal," is a wonderful read, with great artwork, and bits that are both scary as well as humorous. I for sure would recommend checking it out if you like stuff that is a little off-kilter. I give it a pleased 5 out of 5 stars. You can find it at Things From Another World, MyComicShop, and eBay as well. 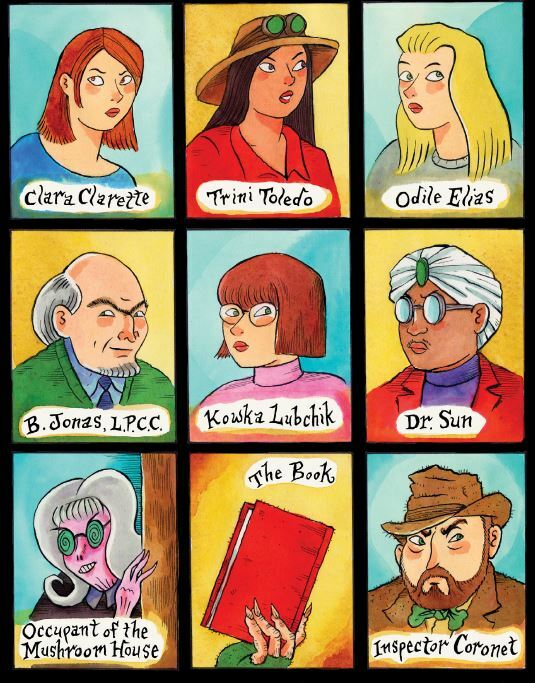 Note: A digital copy of, "The Bloody Cardinal," was provided for the purpose of review by the publisher, Fantagraphics.